Sauces, gravies and pan sauces are some of my favorite recipes to make. It lets me play around with different herbs and flavor profiles. Not only is making your own sauces from scratch a lot healthier for you, but it can really save you on the carb counts. Not to mention, you get to skip all the nasty, unnecessary additives. This low carb marinara sauce is perfect to make a large batch of and freeze in individual smaller portions. You can even freeze small portions in ice cube trays for individual portion sizes. Looking for more low carb sauces? Check out my Sun-dried Tomato Coconut Cream Sauce, Paleo Pizza Sauce, or Hearty Tomato Meat Sauce. A couple times a year I will spend a Sunday afternoon making 10-12 batches of different sauces and then I divide them up and freeze them. It really helps make weeknight dinners a lot easier. In a large sauce pan, over low heat, combine crushed tomatoes, tomato paste, garlic, basil, parsley, oregano, garlic powder, onion powder, sea salt, and crushed red pepper flakes. Simmer for 15 minutes, stirring frequently. Stir in Parmesan, mozzarella, and Romano cheeses. Stir until cheeses are melted and well incorporated. have you tried freezing the sauce? did it turn out ok? thanks! I have frozen it, yes. It defrosts just perfectly. I recommend reheating it on the stove. What is used for the Noodles in the picture? That looks amazing, but I have to admit, I just cannot eat spaghetti squash (or zucchini, or any other similar veggie) instead of pasta. 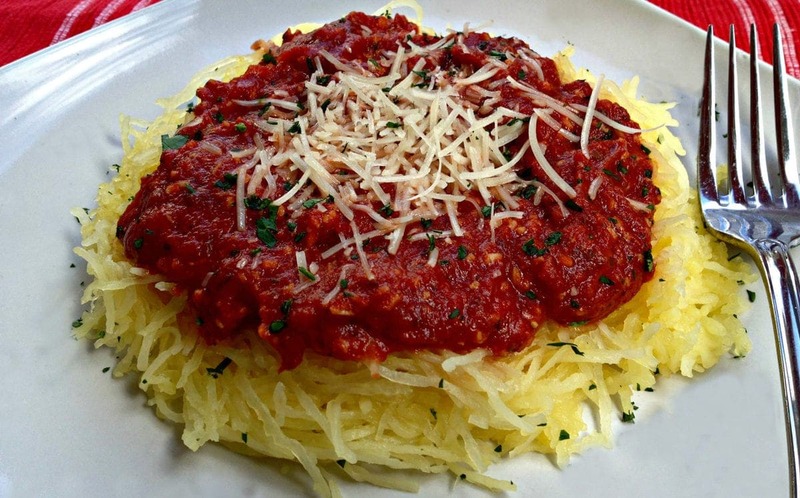 I actually like spaghetti squash cooked with butter and salt, but I’ve never liked it under sauce of any kind! It makes it a little harder to lo-carb “spaghetti” but I’m finding other ways to make do! I’ll have to try your marinara over meatballs! I’m using it for a zucchini lasagna I’m making. My home smells so good as I have this sauce simmering away… yum!!!!!!!!!!!!!!!!!!! Thank you! I just made this to go with your Stufffed chicken parmesan meatloaf (cooking in the stove right now) and it is sooooo delish!! I am going to use it for sauce on my spaghetti squash tomorrow! I love it. Thanks for sharing. I keep container on hand to use as the sauce on my Fathead pizza. And yes it does freeze very well. This was absolutely amazing! I doubt I ever buy “the jar” stuff again. Did I mention it is Super easy to make too.? So happy you enjoyed it! Thanks for taking the time to come back and let me know. Omg… My mouth is watering with the sound of this recipe. I’m definitely going to give it a try… Love your website… ????…. 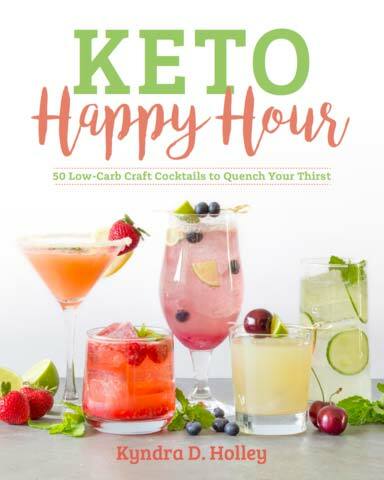 So helpful with all the hints and tips not too mention amazing recipes as well… Guess what I’m Gng to be doing this wkend.. Hahaha… Just loving this keto plan. 5 wks in. This is the BEST sauce recipe EVER!!! I used it to make your “JUST LIKE THE REAL THING” LOW CARB KETO LASAGNA and WOW WOW WOW!!! Fantastic! I used home grown garlic that i had just harvested and there was tons of garlic flavor in this. My husband and I both thoroughly enjoyed this and I look forward to eating the leftovers today! Perfect, Easy and I get to say its homemade !! Made Spaghetti and Lasagna with this recipe always a hit! I know I may be asking a lot, but I do it with love and respect for all that you do. 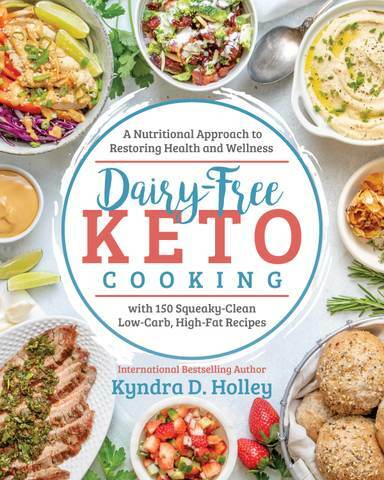 I am diabetic, so all the low carb recipes that have shown up the last couple of years have been wonderful…and this sauce sounds great (I’ll add some grass fed beef)….but net carbs don’t work for diabetics, we need to count ALL carbs. 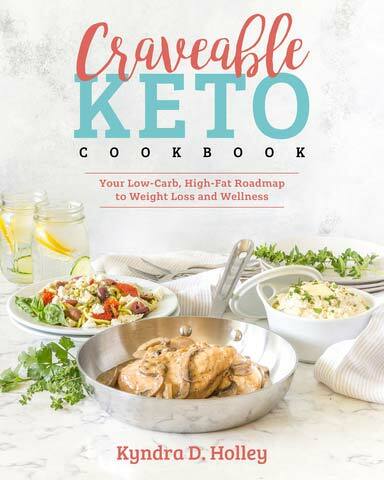 I’m guessing that as you figure out your carb count you know the full count, but because Keto only seems to use net, that’s all you post. Finally getting to the “asking a lot” part, lol….could you PLEASE consider posting the carb count alongside the net carb? I’m thinking it shouldn’t be more work, just typing one extra sentence/number….but it would be soooo helpful for diabetics. 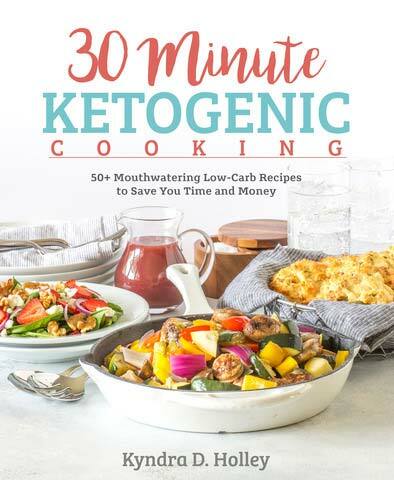 Personally, I choose the really best of the recipes and do the math…(but I skip the ones that are just “maybe” because of the extra work involved)…..but I know many of the facebook and yahoogroups of diabetics don’t know (or won’t) deal with the math so they skip recipes if the full carb isn’t listed. So, hey, 1 extra sentence and you could get a lot of diabetics as new customers! Thank you for considering this request! The total, fiber, and net are on all of my recent recipes. The last two years or so. But I am not able to go back and recalculate all of my older recipes. You can always drop the ingredients into a site like MyFitnessPal to get more complete information. If I cannot find Romano cheese, can I substitute a different kind of cheese? Or perhaps more parmesan? I love all of your recipes! Thank you so much for all of the work that you do!